Click on any pictures outlined in blue for full size images and thanks to Larry Perkins for many of the pictures! <== Young Alva Grant Keyser. Handsome. ALVA GRANT KEYSER b .April 30, 1872 in WV, d. March 28, 1956 in Northhampton OH. In 1898 he married AMANDA LEONA JEFFERSON. Alva and Leona became dairy farmers in Northampton Ohio. Cuyahoga is central to their lives. 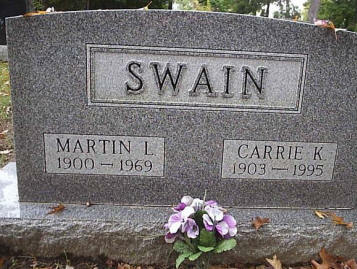 They are buried at Oakwood Cemetery in Cuyahoga Falls, OH. EULA RUTH13 KEYSER (ALVA GRANT12, JOHN LOVE11, AMOS W.10, WILLIAM9, ANDREW8, WILLIAM7, ANDREAS (ANDREW)6, PIETER DIRCK5, DIRCK (IMMIGRANT)4, DIRCK GERRITSZ3, GERRIT2, DIRCK1) was born 29 Dec 1898 in Limestone, WV; and died 1932. She married LAMONT M. GREEN 23 Jul 1927. "Eula was the oldest and is remembered as a tomboy who was always willing to work in the fields. She enjoyed school and looked forward to attending high school. Because of the distance to Cuyahoga Falls High School, she often boarded in town with families in exchange for work. She graduated in 1918 and went on to Buchtel College during the evenings. For a time she lived with the Bolich family and then with the Seasons. While at the Bolichs, she witnessed a terrible tragedy. Mr. Bolich, the high school principal, was married and had four small children. In ill health, his wife Jessie was despondent and on November 26, 1917, she committed suicide by drowning herself in the Cuyahoga River near Gaylords Grove. Eula eventually left the Bolichs to board with the Seasons. She went to work at Whipples Furniture store and in 1925 married LaMont Green, a realtor. They lived in Cuyahoga Falls until her death in 1932 of Addison’s disease. "Farm life was often harsh and sickness often struck. Eula had attacks of rheumatism that kept her from school in 1915. In 1916 she suffered from measles and scarlet fever." 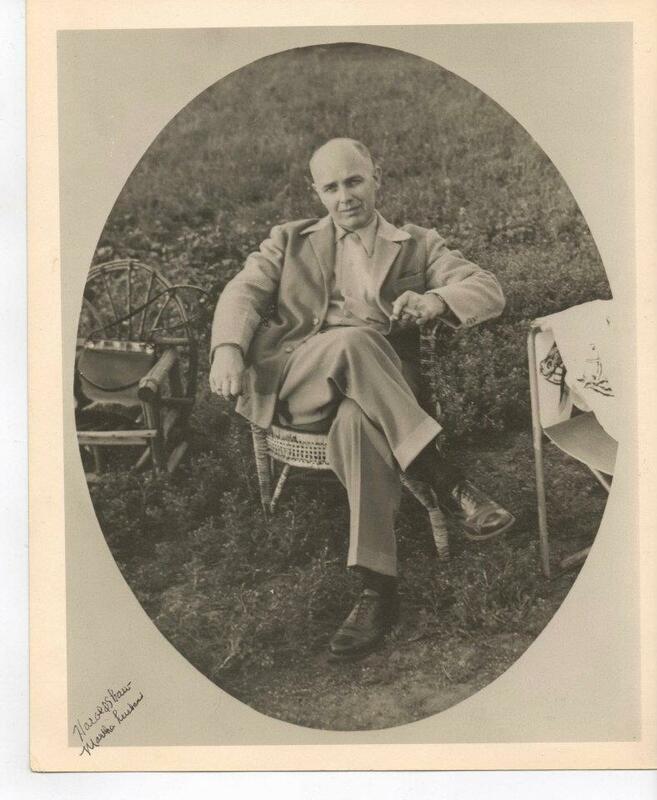 Eula's husband Lamont Green was born on 30 June 1899 to parents Hansel and Jetta B. Parshall Green. 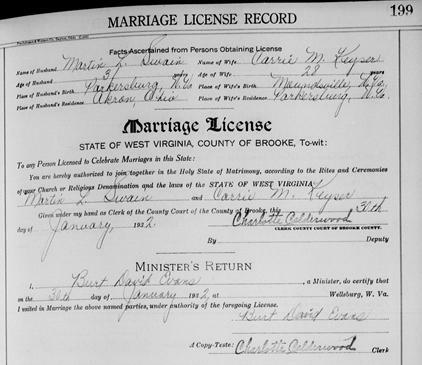 Lamont and Eula married on 23 July 1925 in Summit County, OH. Husband LaMont died in 1953 and is buried at Oakwood Cemetery in Cuyahoga Falls, OH in Section 11. Eula Keyser Green is buried in this same section. CARRIE MARGARET KEYSER was born 21 Apr 1903 in Limestone, WV, and died 28 Dec 1995 in Akron, OH; Buried Oakwood Cem., Akron, OH. She married MARTIN LUTHER "FRED" SWAIN 1932 . 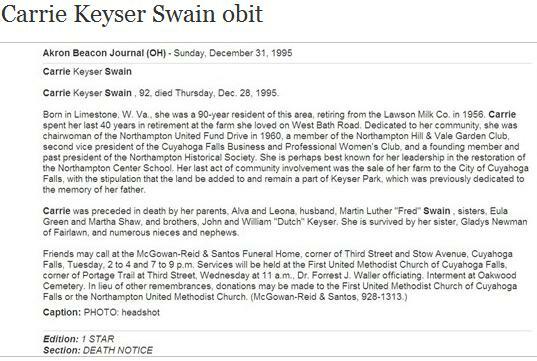 He was born 1900 and died 1969 on Keyser-Swain Farm, OH. Barbara Keyser: Whem Alva Keyser passed away, his farm was given or divided among his five remaining children. Carrie wanted it and bought the properties belonging to each, except for her brother William who refused to sell his share, even though he never farmed it. William is the one that deeded his share to the town, forming Keyser Park. This was around the early 1960s or so. Carrie by now owned a bit more than 50 acres as the Keyser-Swain farm, a non-working farm since she could never convince her husband Fred to farm the land. Carrie dearly loved the Keyser (Keyser-Swain) farm which was ultimately sold to Cuyahoga Falls to become park of existing (William) Keyser Park. Larry Perkins: Together, the Swains, worked at Lawson Milk Company at one point, where she also managed the cafeteria for the company. He worked there for more than a decade. Excerpt from "At the Center" by John Perkins: "Carrie was born in [April 21,] 1903 [in Limestone WV] and moved with the family to Ohio when she was a toddler. She fondly remembers her childhood on the farm and especially her years at the Center School. She remembers the coal-burning pot bellied stove and the fact that she was sometimes allowed to play teacher. Citing financial restraints, she chose not to attend high school. 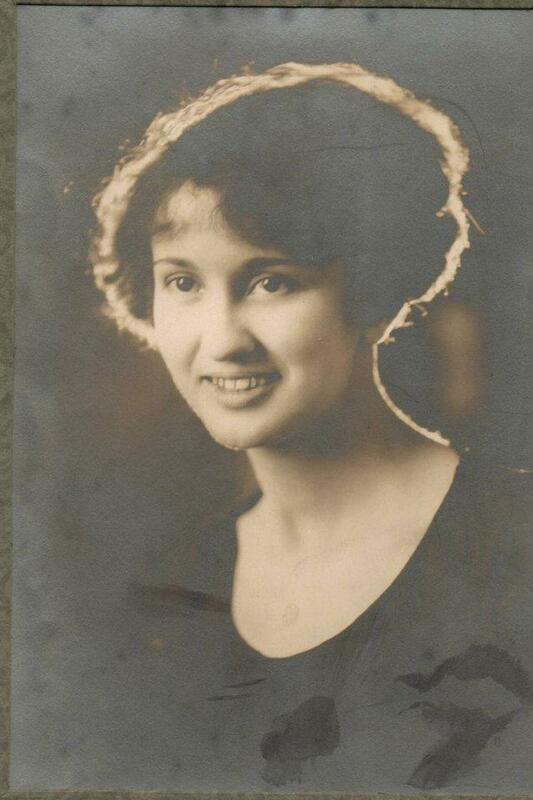 In 1918 she worked for Marathon Tire and Rubber in Cuyahoga Falls and boarded in town at the manager's home. In the years that followed, she worked for a variety of employers, including the Russel Farley Company for 14 years. 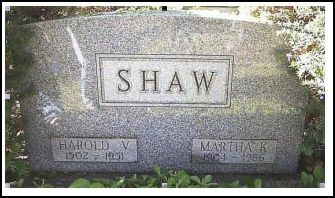 During this time she met Fred Swain and after nine years of courting married him in 1932. They held a variety of jobs, sometimes living on the farm and other times living in Cleveland or Bath Township. They finally settled in Cuyahoga Falls in 1945. 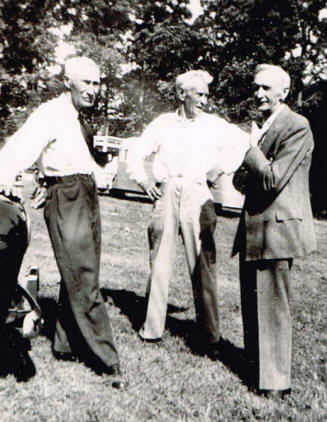 Picture above is: Fred Swain, Carrie Swain, William Keyser, John Keyser. 1940. Fred and Carrie did not have any children. They filled their time with community involvement and improving their farmhouse. 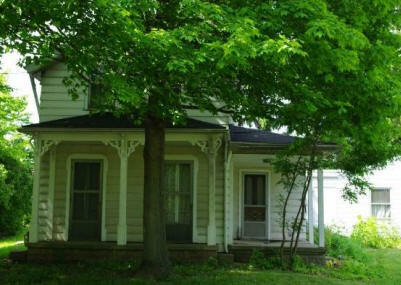 Per John Perkins they improved porches, added picture windows in the parlor, added a bathroom, a garage and a driveway. The kitchen was updated. The heating replaced with oil heat, the siding with aluminum siding, and an electric pump was installed at the well. Interestingly, they entered into oil contracts for the development of an oil field on the property, leading to four oil wells and a small income. Founding member and at one time president of the Northampton Historical Society. Led the drive in 1975 to buy the old Center School, so well known to the Keysers, and had it moved to the Keyser property that now belonged to the town where it was restored into a schoolhouse museum for all to enjoy. MARTHA MAE KEYSER, their third child, was born Christmas Eve in 1904 in WV and is the last of the children born in this family to be born in the State of West Virginia. 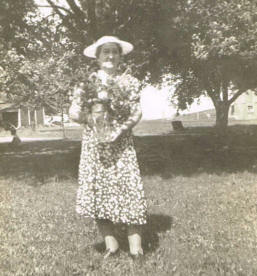 She married HAROLD VERNON SHAW in 1923 following high school graduation; this is when she left the Keyser farm. 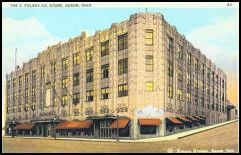 Harold was a manager, then President of Vaughn Machinery, while Martha worked many various jobs (Falls Rubber; Polsky's Department Store (photo=>); feature writer for the Buckeye Horseman. 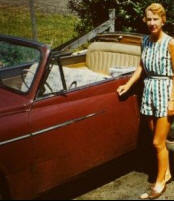 Martha died in 1986 in Fort Lauderdale, FL where she moved following her retirement. Barbara Keyser, 2nd wife of Jack Keyser: Martha lived with me and Jack for about 4 years. She was a wonderful "character"! 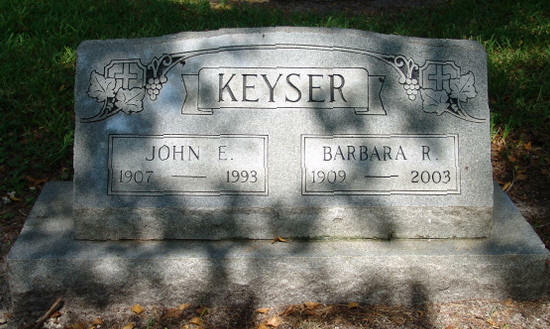 GLADYS MARIE KEYSER was born 23 Feb 1913 at the Keyser farm; she died 1936. She married WALTER NEWMAN about 1932. "She was not fond of the farm and disliked the chores. She remembers that the girls were expected to scrub the outhouse each Saturday, a job she particularly disliked. She did as little of the farm work as possible and did not like the farm animals. When the cows were brought in from pasture, she often climbed a tree to stay away from them. Like her siblings, she attended the Center School and remembers it as being "alright." She remembers liking her teachers Miss Margaret Huff and Miss Helen Brown, but disliked Miss Pearl Myers because Gladys felt she picked on her brother William. Gladys attended the Methodist Church across the street, as did the other children, and was active in its Epworth League. 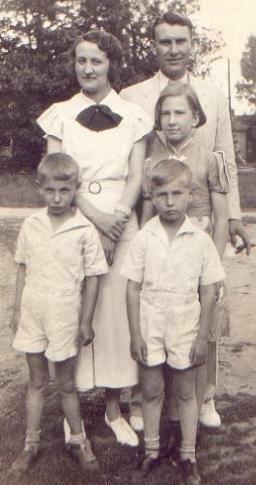 Gladys enjoyed going to town and during high school moved there with her sister Eula. One year after school, she married Walter Newman, but has since divorced and currently resides in Akron." Walter Newman traveled on his job with a tire company. WILLIAM ERWIN "DUTCH" KEYSER was born 31 Mar 1915 on the Keyser Farm, Summit Co., OH; he died 9 Aug 1991 in Cuyahoga Falls, OH. He married MILDRED MAXINE DAVIS 12 Apr 1941. Millie was born 20 Sep 1919 in Randolph WV and died March 22, 2010 in Mogadore, Portage OH.. On their marriage certificate of April 5, 1941, they were 26 (Dutch) and 21 (Millie) years of age. Dutch died at Longmeadow Care Center in Ravenna. He lived in Randolph after 1946 and retired from General Tire and Rubber Co., Akron in 1977 after 41 years of service. Dutch was a member of the Randolph Christian Church, an avid golfer, and loved farming as a hobby. He and Millie were married more than 50 years, and celebrated their golden wedding anniversary. They had nine grandchildren when Dutch died. 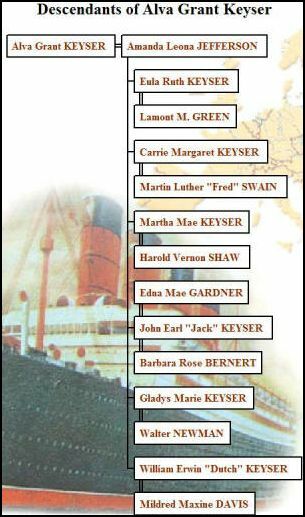 Note: Picture of Millie Keyser is from the Patterson1 family tree on Ancestry. Thanks! Excerpt from "At the Center" by John Perkins: "William was the second son. When he was a toddler, his sister Eula nicknamed him "Dutch" because he had trouble speaking clearly. He enjoyed the farm and had many fond memories. 'Dutch' was a good baseball player who joined various local teams. 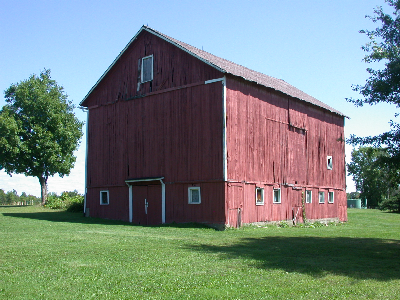 He lived on the farm until 1941 when he married Millie Davis of Stow. They lived in the Falls for three or four years and then bought a dairy farm in Randolph, Ohio. Although he received fifteen acres at the southwest corner of the farm when his parents died in 1956, he never returned to the farm. He worked at General Tire for about forty years, retiring around 1980. His real love was his farm which he worked until his death in 1991. "The farm changed further as the city of Cuyahoga Falls annexed Northampton Township on January 1, 1986. It was the first annexation of its kind resulting from an Ohio law passed in 1981 that allowed municipalities and townships to combine. Although Carrie was against the annexation when it was first suggested, she eventually saw the positive impact it could have on the township and supported it. The annexation has had a dramatic impact on her life. In 1989, the city developed the 15 acres purchased from William Keyser into a community park. 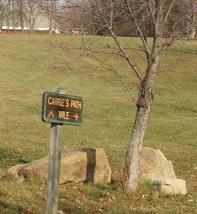 Named Keyser Park, in honor of Alva, it contains tennis and basketball courts, play equipment, picnic areas, and walking trails named "Dutch's Path" and "Carrie's Walk." 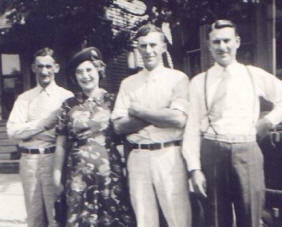 Together Dutch and Millie had four children: Cheryle, Pennye, Beth, and William Alva. Barbara Keyser, 2nd wife of Jack Keyser, recalled crocheting a Barbie dress for little Beth's Barbie doll. Later on in years Beth enjoyed canning fruits and vegetables, and Cheryle, Pennye and William helped harvest the corn for Jack and Barbara Keyser. Death Notice of Dutch Keyser: Dutch died at age 76 in Randolph Ohio. His death was sudden though he was already at Longmeadow Care Center in Ravenna OH. He died on Aug. 9, 1991. 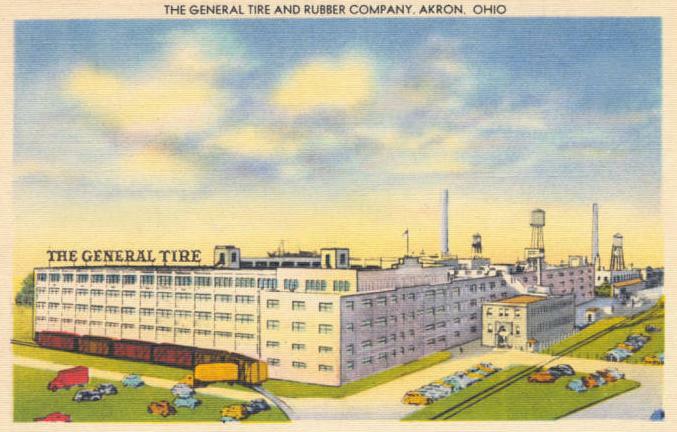 Dutch had retired as a Calendar Operator for General Tire in Akron. He worked there for 41 years, retiring in 1977. The Wood-Kortright Funeral Home in Ravenna handled the arrangements with burial at Oakwood Cemetery in Cuyahoga Falls, OH. in Ohio. He was married twice. <==The first time to Edna Gardner. The second time to Barbara Bernert. JOHN EARL "JACK" KEYSER was born 24 Feb 1907 in Northampton, Ohio on the Keyser Farm; and died 26 Jan 1993 in Melbourne, FL. 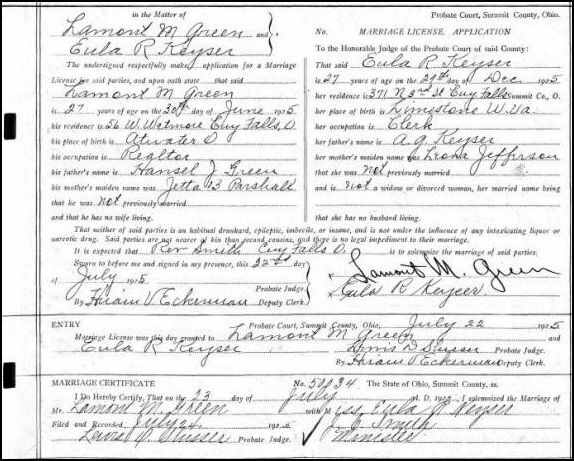 He married (1) EDNA MAE GARDNER on August 1st, 1926 She was born 16 Jul 1905 in Akron, OH; and died 5 Sep 1987 in Orville, Ohio. He married (2) BARBARA ROSE BERNERT 27 May 1939, daughter of CHRISTIAN BERNERT and MARIA ROFF. 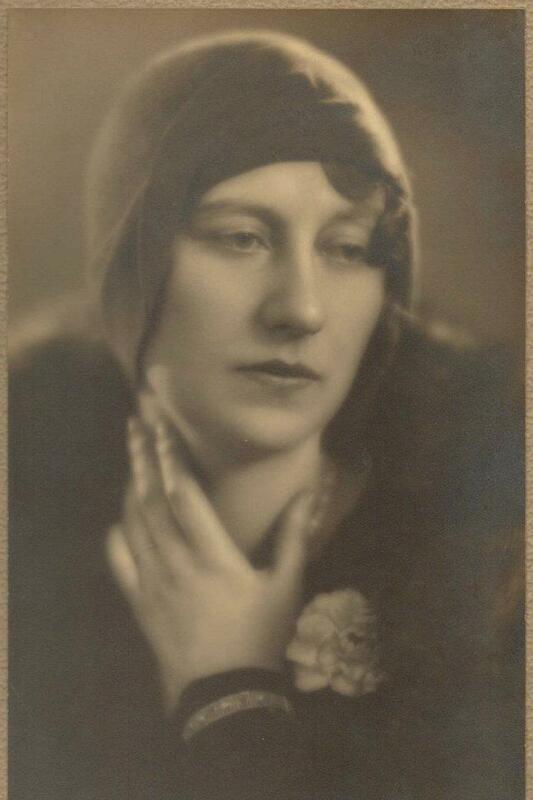 Barbara was born 26 Jul 1909 in Panscova, Austria-Hungary and died 22 Oct 2003 in Melbourne FL. Barbara and Jack lived at 1401 Tenth Avenue SE in Ft. Lauderdale before moving to Melbourne, FL. Excerpt from "At the Center" by John Perkins: John Earl Keyser was the first child to be born on the farm. All boy, he explored the nearby woods and ravines and occasionally trapped muskrats in the farm's two acre swamp. When he was not exploring, he had chores to do. 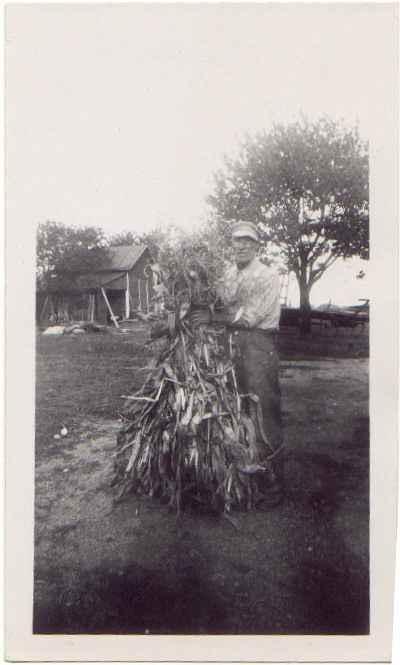 He cut corn for the chickens, put grain in the barn, and tossed down hay for the horses. He remembers going to Mud Brook or sometimes to Peninsula to have the grain milled. He attended nearby Center School but hated school work and did not go beyond the eighth grade. 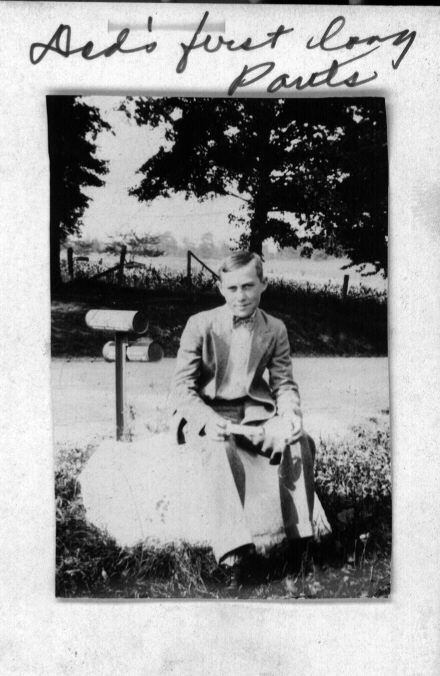 As his ninth grade school year began, he rose each school day and went into town. Although his parents believed he was going to school, he had gotten a job at Falls Hollow Staybolt. One of his early pay stubs was for a 52 hour week at the rate of 27.5 cents an hour. He never returned to school and left the farm for good when he was about 18. In 1926 he married Edna Gardner. He worked at various jobs including dairy farming in Vermont during the 1950s. Today, with his second wife Barbara, he lives in retirement in Ft. Lauderdale." Jack married Edna Gardner on August 1, 1926 when he was just 18 years old. They ultimately divorced and his second marriage was on 5/27/1939 to Barbara Bernert. Barbara and Jack moved to Ft. Lauderdale FL from Vermont following his heart attack. GRANT EDWARD KEYSER, born Sept 5, 1930 in Akron, OH and died 2007 in Constable NY at the age of 77. He married Joyce Appleton in 1948 in Colchester, VT. Grant had been a member of the Retired Border Patrol Association and worked as a Port Director for Immigration at Trout River; Retired 1988. Also worked with the Border Patrol in Houlton, ME, Ft. Lauderdale, FL, and Massena, AZ. Grave of John E. and Barbara A. Keyser in Evergreen Cemetery in Ft. Lauderdale, FL. Evergreen Cemetery 1300 SE 10 Street, Ft Lauderdale, FL 33315. 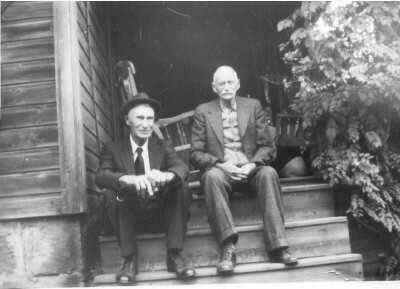 Alva Grant Keyser (on left) and his first cousin Ross Emmett Keyser. 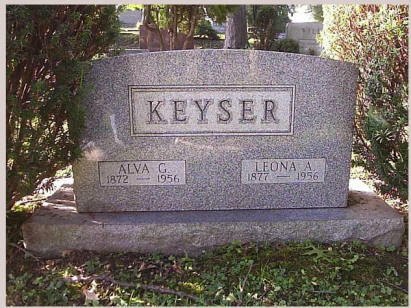 They were both grandsons of Amos W. Keyser. Copyright ©2003-2015. All Rights Reserved.